…and you will discover a Holiday Park set in a beautiful location, with a family friendly atmosphere and excellent facilities. You will receive a warm welcome, whether staying in one of our luxury holiday caravans or bringing your own touring vehicle or tent. We are sure you will join the many holiday makers who find in our parks a home from home. We are privileged to welcome back so many of our our guests, season after season and year after year, we can’t wait for you to join them! 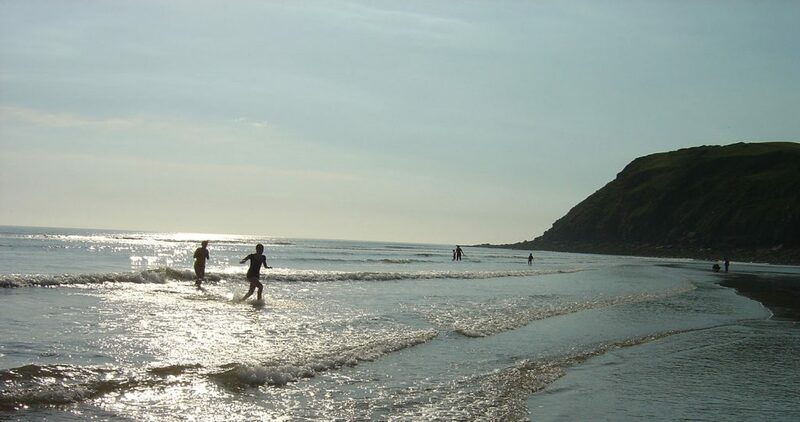 Our holiday parks are located in the unspoilt West Coast. This gives you the opportunity to discover that Cumbria has much more to offer than just lakes. There is a magnificent mile long beach just beside the park, with many areas on site enjoying sea views. Often described as being off the beaten track however, we cherish the peace and quiet of our area. If you find yourself wanting to return again and again, why not consider purchasing a caravan? Seacote Park offers the opportunity to own your own Holiday Home by the sea. Click on the Sales link at the top of the page to see what is currently available. Long term holiday leases are available dependent on availability for people who live outside of our local area. Occasionally we may have residential lets available too. Please contact us for more details. St Bees village is on the West Coast of Cumbria on the fringe of the Lake District National Park. It is named after St. Bega, said to be an Irish Princess who landed here about 900AD to avoid enforced marriage. St. Bees has an impressive history, for a little place. The village is famed for its large priory church which dates back to the 18th century. It has a public school, founded in 1583 by the Archbishop of Canterbury, who was born in the village. During the summer months the village bursts into colour with displays of flowers for the Cumbria in Bloom competition and has regularly won the large village trophy. St. Bees, is perhaps best known for it’s large, sandy beach and impressive headland. Home to nesting colonies of Sea Birds and as the start of Wainwright’s Coast to Coast walk there is plenty to see and do. Guests of the Park will be welcomed at the Seacote Hotel, a very short walk from the park across the seafront. There you can enjoy a meal in the Headlands restaurant with sea views available, or have a more relaxed evening in one of our two bars or outside seating areas. The hotel hosts a varied programme of live entertainment throught the year in the lounge bar or the large function room. The family bar welcomes dogs and is also where you can play a game of pool darts, or maybe catch that all important game on the big screen Sky TV. There is a shop and cafe adjacent to the Park selling some groceries, but mainly is your stop off for gifts, souvenirs, sweets and (essentially) fantastic locally made ice creams. Get there early on a sunny day to avoid the queues! 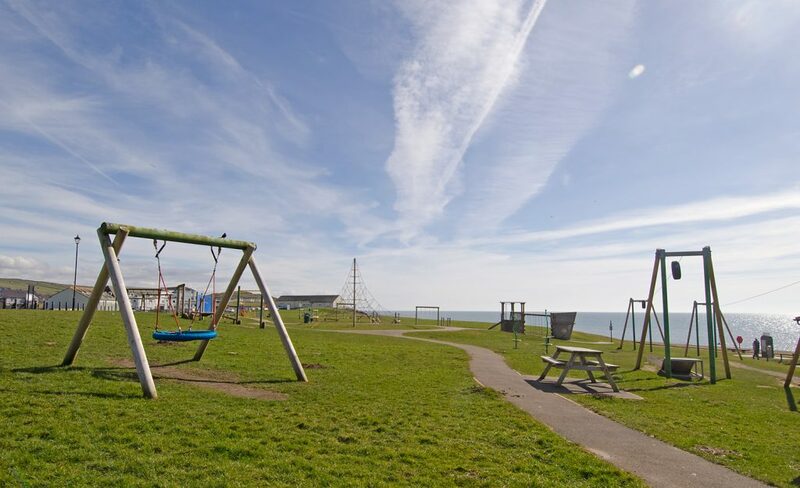 The beach foreshore has a large, well equipped children’s play area with sections for different age groups and plenty of grassy space for kicking a ball around.